Ten years after the event it is probably not surprising that the Guild Secretary was unable to furnish all the details of some of the men. 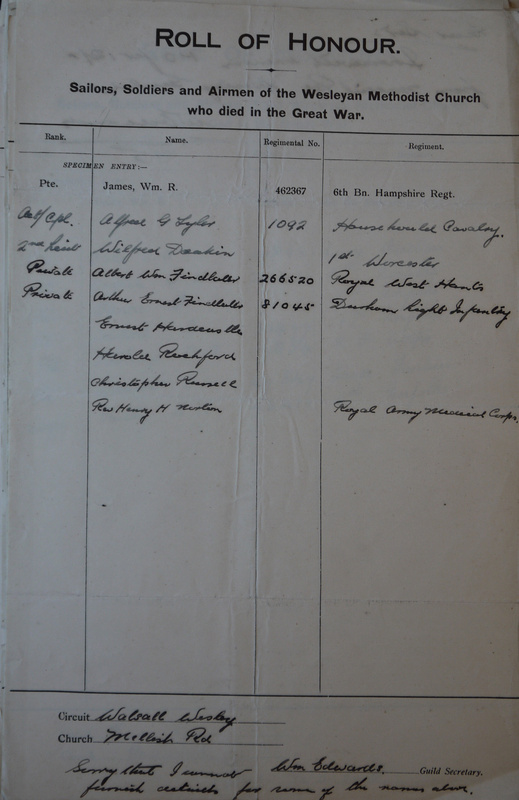 In the following list information found from the Commonwealth War Graves Commission is enclosed in square brackets. 2nd Lieut. Wilfred Deakin 1st Bn. Worcestershire REgt. 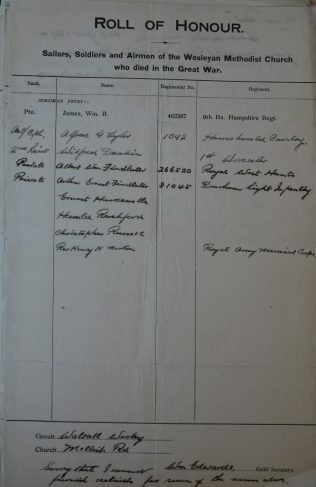 Private Albert William Findlater 266520 Royal West [Kent] Regt. Two individuals are of particular interest. Albert Findlater did not die until 22nd July 1920, and is buried in Walsall. Although he survived the war, he was regarded both by his church and the Commonwealth war Graves Commission as a casualty. He is listed on the war memorial at Headingley College, which may be seen here.